The streak is broken. It took almost five years but Yale finally beat Quinnipiac for the first time since the 2013 NCAA National Championship game in Pittsburgh. It was a hard fought game with Yale edging the Bobcats 3-2 at Ingalls Rink minus the Bulldogs head coach, Keith Allain who is serving as an assistant coach with Team USA at the 2018 Winter Olympics in South Korea. Quinnipiac got back in the win column on Saturday night with a 3-0 win over Brown and the team currently sits at 9th in the standings but two points out of 5th place so their is a clutter of teams jockeying for position with four regular season games left. The last two weekends should be interesting to see where Quinnipiac can finish. A lot of future Bobcats had very good weeks so let's take a look at how some of them did. It was a big week for a handful of the Quinnipiac commits playing out in the Western Canada Junior A league with numerous commits putting up multi point weeks. 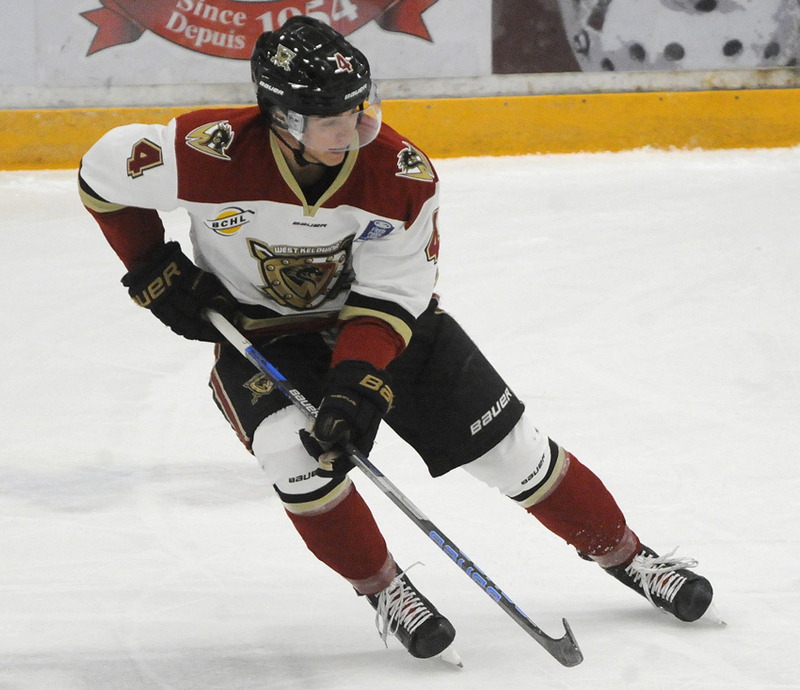 Michael Lombardi had one goal and five assists in four games played for the West Kelowna Warriors. He has had points in 8 of his last 9 games and on the season has 40 points (15 goals, 25 assists) in 53 games played. He is closer to a point per game player after his trade to West Kelowna with 35 points (13 goals, 22 assists) in 40 games played. Ethan De Jong had another multi point weekend for the Prince George Spruce Kings. In two games played he had 3 points (1 goal, 2 assists). In 46 games played on the season he has 60 points (17 goals, 43 assists). He is currently tied for 6th in scoring in the BCHL. T.J. Friedmann had 5 points (2 goals, 3 assists) in three games played for the Victoria Grizzlies. The St. Louis, Missouri native has points in his last 9 games and 11 of his last 12. On the season in 53 games played he has 49 points (20 goals, 29 assists). Desi Burgart of the Surrey Eagles had a 4 point week (3 goals, 1 assist). He has points in five of his last six games played. On the season he has 45 points (21 goals, 24 assists) in 47 games played. William Fallstrom had a 4 point week for the Fargo Force with two goals and two assists in three games played. In 39 games, the Sweden native has 26 points (8 goals, 18 assists). Zach Metsa was recently traded to the Central Illinois Flying Aces from the Youngstown Phantoms. Wyatt Bongiovanni is expected back in the Muskegon Lumberjacks lineup after next weekend after being out with an undisclosed injury. Justin Robbins made 23 saves in a 5-4 win for the Chicago Steel. On the season he is 4-3 with a 4.13 goals against average and an .866 save percentage in 11 games played. Matt Cassidy picked up one assist this weekend for the Brooks Bandits. On the season, Cassidy has 36 points (15 goals, 21 assists) in 43 games played. 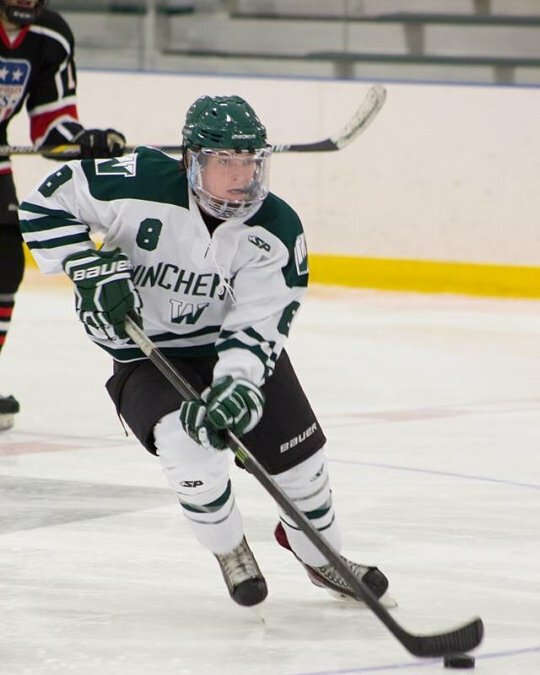 Matthew Fawcett continues to leads New England Prep hockey in scoring with 60 points (24 goals, 36 assists) in 22 games played. He is averaging 2.73 points per game this season. A season ago he had 54 points in 27 games played and it was unknown if he would put up the same production with his line mates having graduated. Salisbury defenseman Peter Dilberatore has 14 points (2 goals, 12 assists) on one of the top prep teams in New England. The Nova Scotian native is expected to be a 2018 NHL draft this June. John Campomenosi of Don Bosco Prep signed his national letter of intent to play at Quinnipiac this past week. Gus Van Nes picked up another three assists this past weekend in two games played. The Dutch born forward has 56 points (16 goals, 40 assists) in 41 games played this season and is leading the NCDC in scoring by 6 points over the next closest player. Van Nes ages out of juniors this week so his season is over according to the Providence Journal's Mark Divver. Connor Tait picked up 2 assists in 3 games played this past week for the New Jersey Hitmen NCDC team. In 34 games played, the Maryland native has 12 points (6 goals, 6 assists). Daniel Winslow picked up 2 assists in 2 games played for the New Jersey Hitmen NCDC team. In 35 games played he has 30 points (9 goals, 21 assists). Victor Czerneckianair had two goals and one assist this past weekend for the U-15 Selects team at South Kent. In 45 games played this season he had 66 points (29 goals, 37 assists). The Southington, CT native is 3rd on the team in scoring and a possible tryout candidate for the NDTP program. Jack Silich had a two goals and three assists this weekend for the Chicago Mission. On the season he has 81 points (30 goals, 51 assists).